The 2009 Sir Julius Vogel Awards have been announced (actually, this was a wee while ago). Unfortunately JAAM 26 didn’t win the Best Collected Work category, but it was great to have been shortlisted. 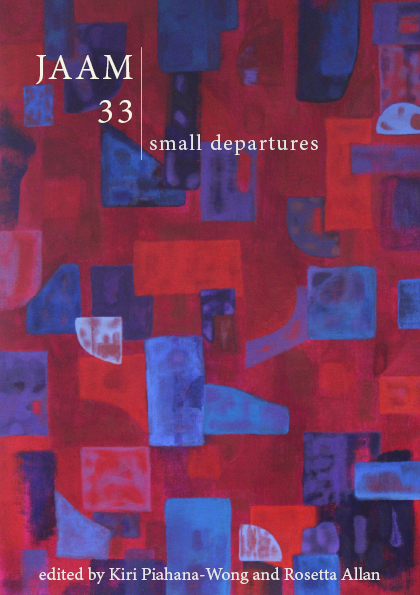 As Tim Jones puts it, his short story collection Transported and JAAM 26 (which he edited) were pipped at the post by ‘up-and-coming author Elizabeth Knox’ (or rather, NZ literary superstar). Congratulations Elizabeth. Congratulations also to Helen Lowe, who won both Best Novel – Young Adult for her novel Thornspell, and Best New Talent for a body of work that included two poems and a short story that were published JAAM 26. This entry was posted on Saturday, July 4th, 2009 at 2:34 pm	and tagged with JAAM 26, Sir Julius Vogel Awards and posted in JAAM 26. You can follow any responses to this entry through the RSS 2.0 feed.